I saw a Furby in a crane game today. 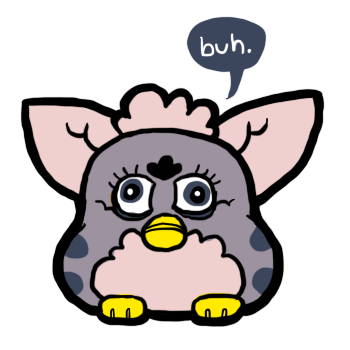 I had completely forgotten about Furbys (or is it Furbies? ), but I assume they're still pretty popular, since I hardly ever see them in stores nowadays.